Voice message is a type of the messages you can send or receive on your iPhone. It could be important information. Your iPhone stores the voice messages for you so you can conveniently go through them. But just as with all other data on your device, they are susceptible to lose due to a number of factors including accidental deletion. 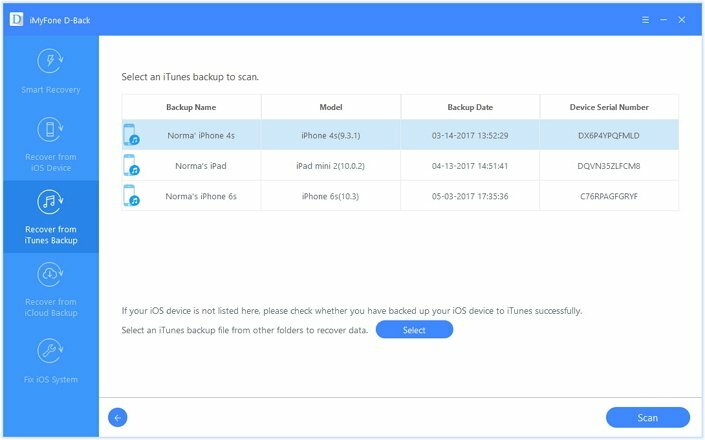 When you accidentally delete your voice messages on your iPhone, you can get them back by restoring an old iTunes of iCloud backup. But this means that you will lose any new data on the device that is not included in that backup. Therefore, if you need to recover just those voice messages, you will need a unique solution. This article will provide you with one as well as show you how to use it. 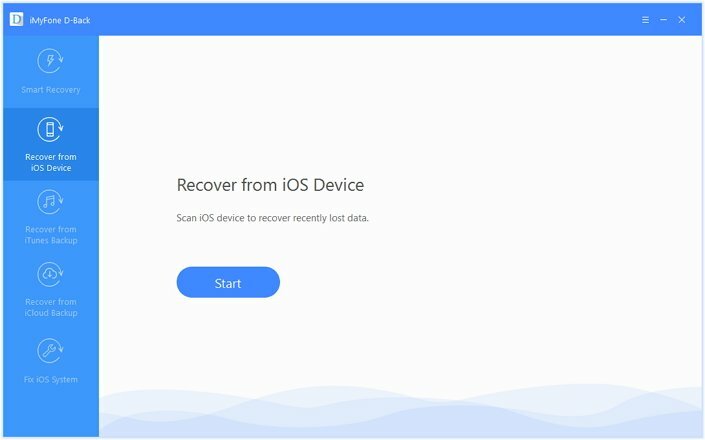 Both iTunes and iCloud restore will erase the existing data on your device, and you will lose all the files that are not backed up yet. You cannot choose to recover voice messages only. You cannot preview the files before recovery. That's why users prefer using iMyFone D-Back to retrieve iPhone voice messages. This great tool can recover up to 22+ types of files from your device or backups. The great thing is that you can selectively decide which files you need to recover. Since you can save the recovered files to the computer, these is no chance to have data loss or overwrite. Now follow the steps below to learn how to retrieve deleted voice messages from iPhone using D-Back. Step 1. 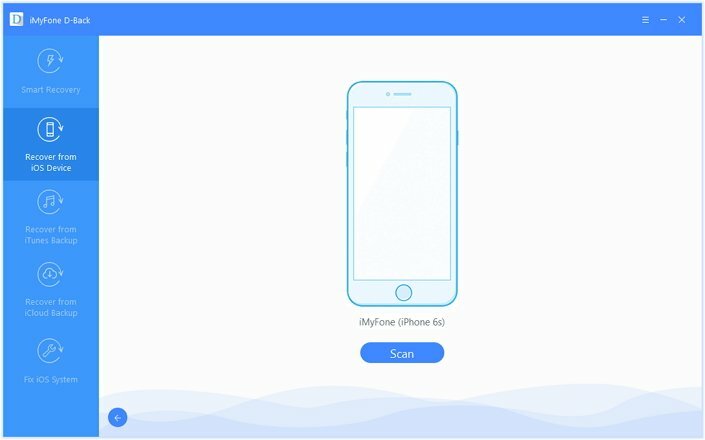 Download and install the iMyFone program on your computer and then launch it. From the main window, select "Recover from iOS Device" and then click "Start" to continue. In the next window, check "Message" as the type of data to recover. Voice messages will be included in messages. Click "Next" to continue. Step 2. Connect your iOS device to the computer using USB cables and once the program detects it, click "Scan" to begin the scan process. Step 3. 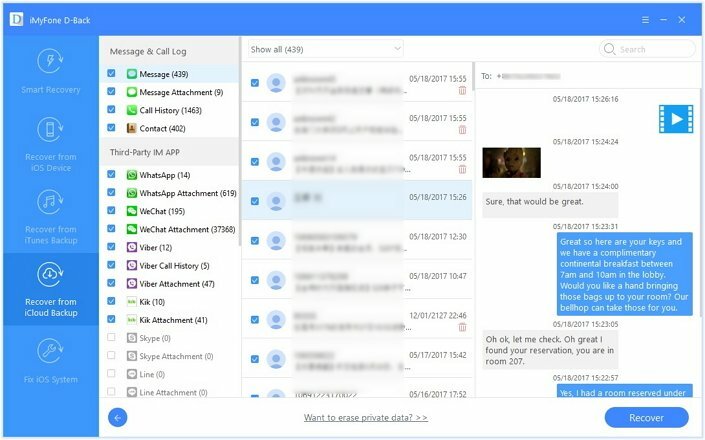 Once the scan is completed, all of the voice messages on the device will be displayed in the preview window, select the voice messages and click "Recover" to save them. If method above cannot find your deleted voice messages, you can try the "Recover from iTunes backup" feature if there are available backups. Step 1. From the main window, select "Recover from iTunes Backup" and then click on "Start." In the next window Select "Message" as the file type you would like to recover. Step 2. Select the iTunes backup file that likely contains the missing voice messages and then click "Scan". Step 3. Once the scanning process is completed, browse the found data to select the missing voice messages and then click "Recover." Optionally, if you have the latest iCloud backup, it's also a good choice to restore your voice messages from iCloud. Step 1. From the main window, click on "Recover from iCloud Backup" and then click on "Start." In the resultant window, select "Message" as the type of file you want to recover. Step 2. The next step is to sign in your iCloud account. Enter your login information to do so. 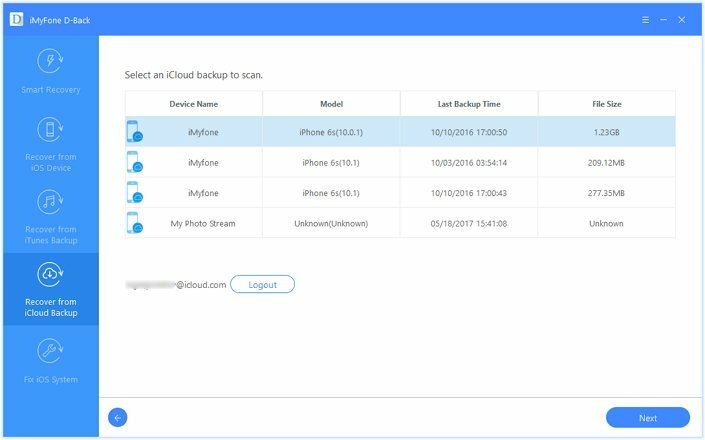 The program will detect all of the iCloud backup files on that account. Click on the one that may contain the voice messages and then click "Next" to download the backup. Step 3. Once the download and scan process are completed, select the missing voice messages and then click "Recover." That's it. Except for voice messages, you can also use iMyFone D-Back to recover deleted photos, notes, messages, contact and more files. Now get the free trial from below.